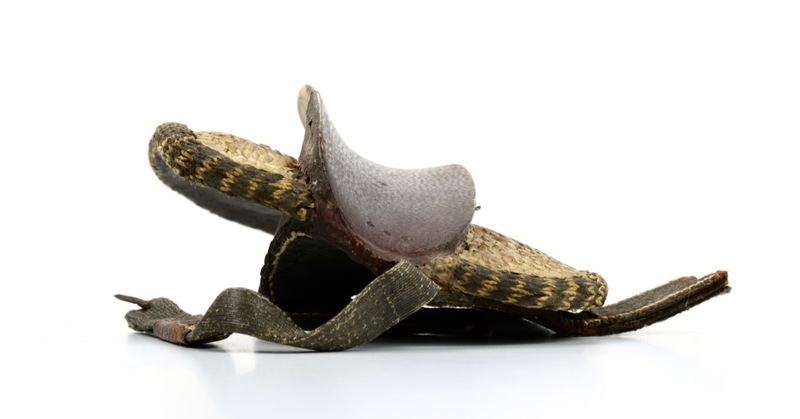 Materials: Horn, wood, sinew, leather, bone, mother-of-pearl, lacquer, gold. 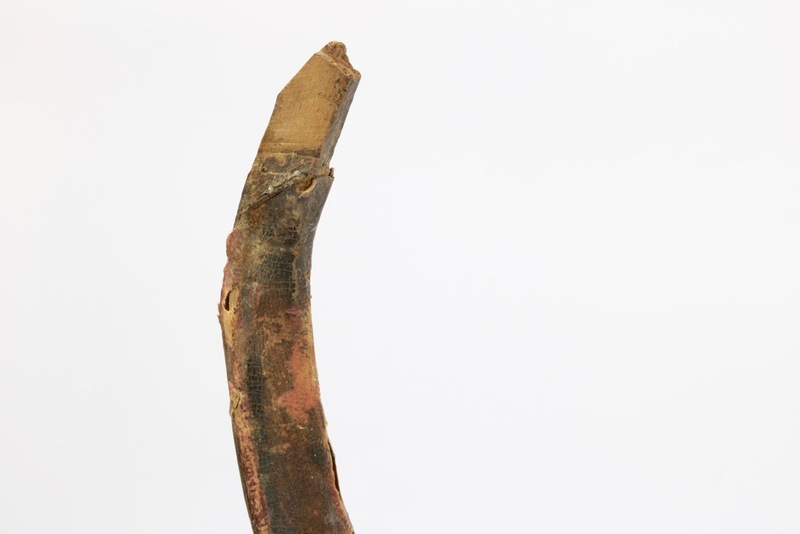 Materials: Feather (remains of), wood (pine), paint, sinew, iron. 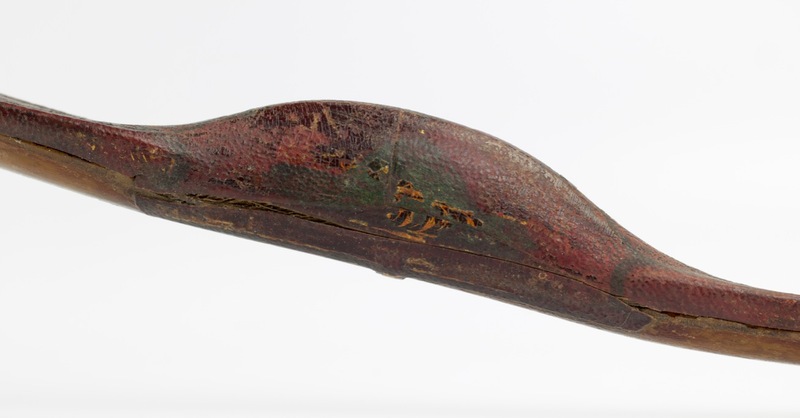 A rare Ottoman bow that has seen better days. 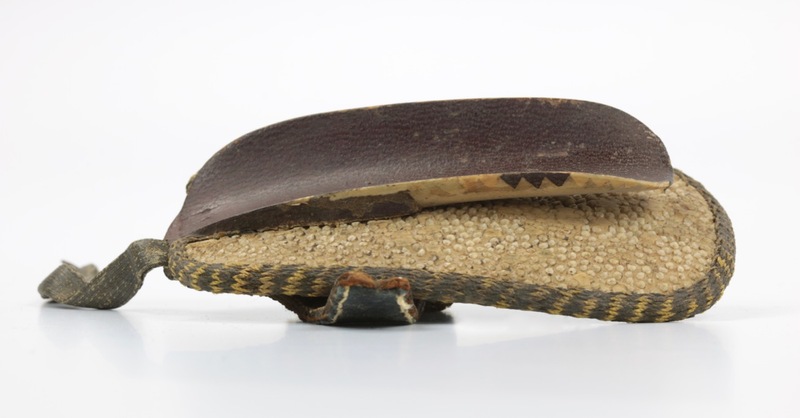 It's made with blonde water buffalo horn, on a wooden core that was covered with sinew. 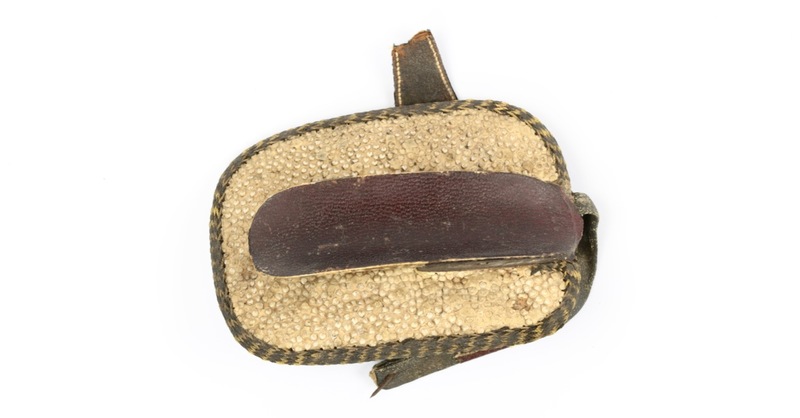 The sinew in turn is covered with very thin leather that was lacquered and painted with decor in black and gold. 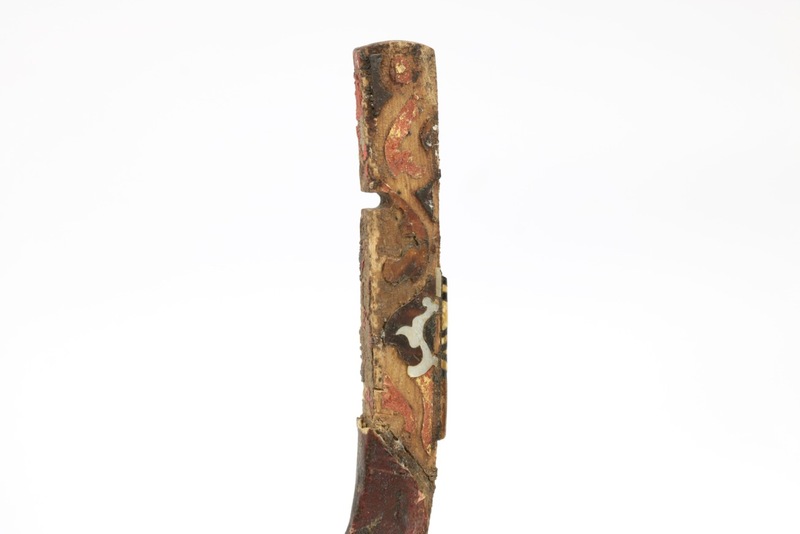 The decoration is very fine, and reminiscent of that found on bows One ear is missing, the other with remains of wonderful decoration in bone, horn and mother of pearl. The bow was of considerable strength, with limbs of 35 mm width and 14 mm thickness mid-limb. 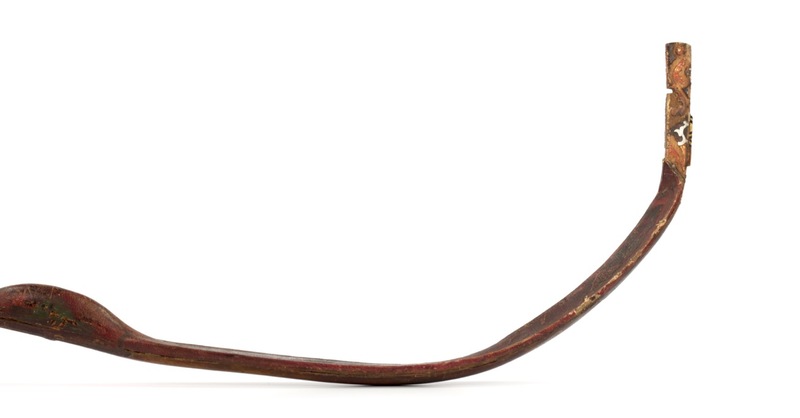 The ear shape is interesting, and not very typical for Ottoman bows while the rest of the bow's body is classic Ottoman of the 16th century. It comes with two medium range target arrows with conical iron arrowheads, it is hard to say whether they belong to the bow originally but they look as if they could. 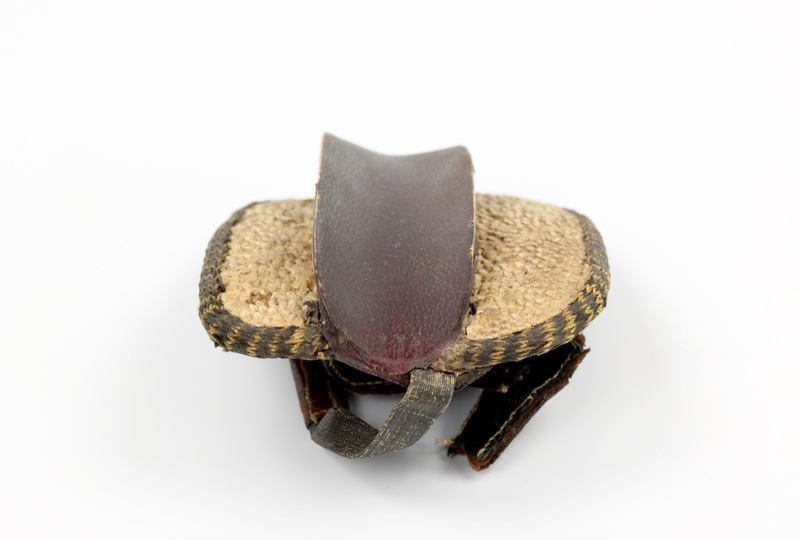 This type of arrow was used for shooting the traditional puta target in archery practice. It also comes with a siper , a so-called "overdraw device" that was peculiar to the Ottomans. It enabled them to pull the tip of the arrow beyond the handle of the bow, thus putting the force of a fully drawn bow in a shorter, thus lighter arrow. 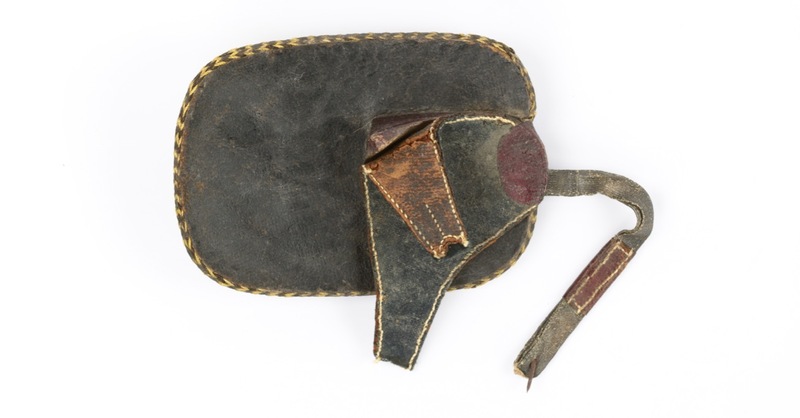 This enabled them to break all known archery records, furthest shot on record being that of Iskender the “Tozkoparan” who shot 846 meters with this setup. 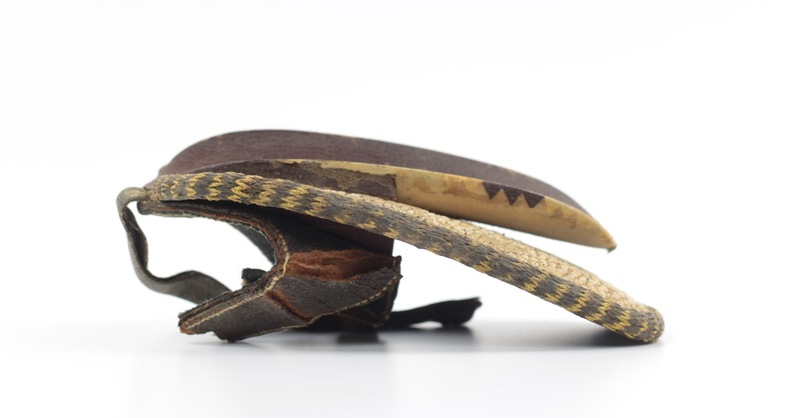 Like the arrows, it is hard to say whether the siper originally belongs to the bow. 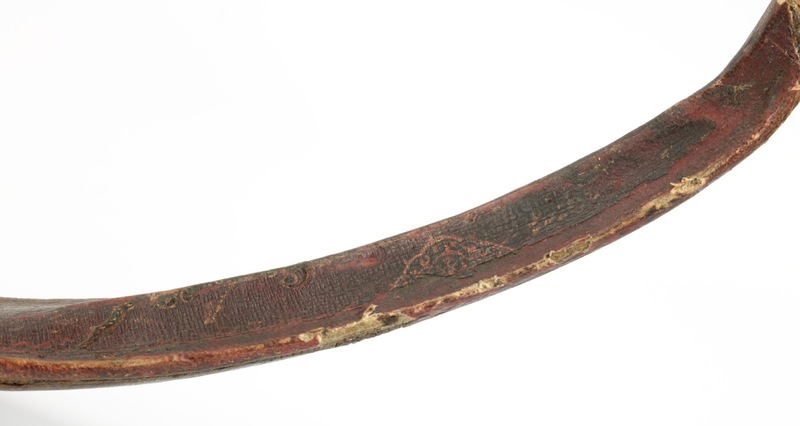 A number of similar Ottoman bows are preserved in the Staatlichen Kunstsammlungen in Dresden. 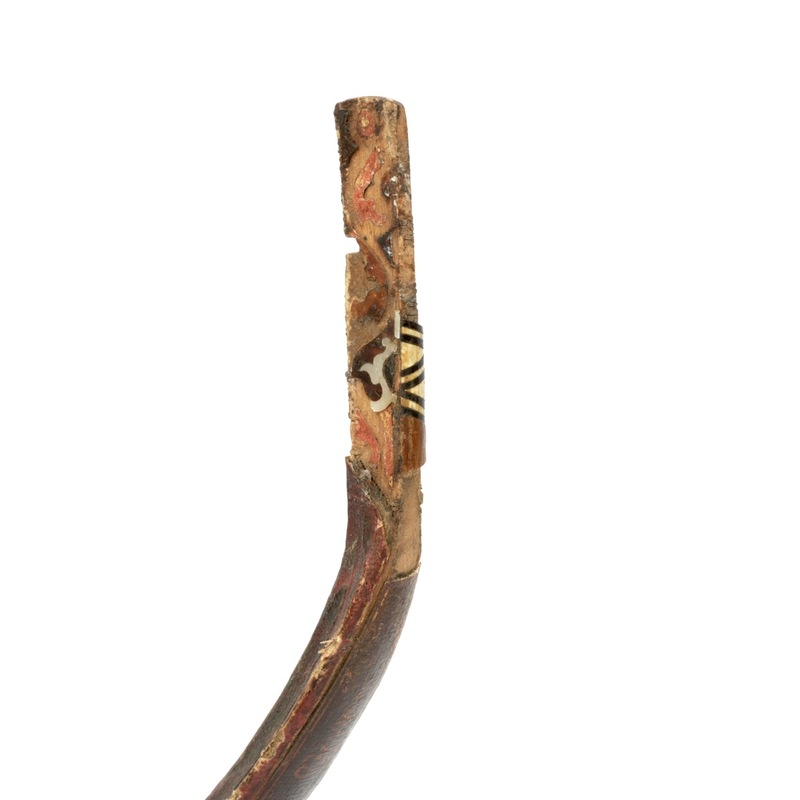 Compare the decoration of this bow to for example accession number Y 0235. 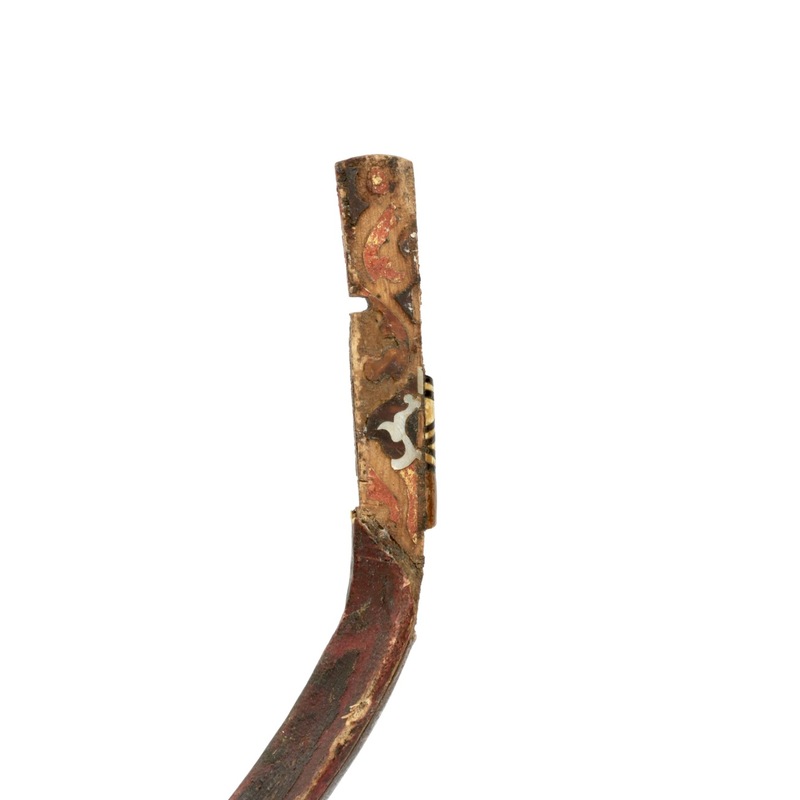 This bow is part of a small group of very similar bows held in the museum, the others under accession numbers Y 223 and Y 231. Number Y 235 is signed by a bowyer named Piyale with an Islamic date corresponding to 1586-1587 in the gregorian calendar. Decor on all pieces contains thin golden and black lines on a simple brown background, with decorative medallions and lines connection various ornaments. Unfortunately if our bow had a signature, it is most likely gone lost with the decoration on the ears. It does bear a striking resemblance to the decor of these bows and most likely dates from the same period and just maybe even the same workshop. 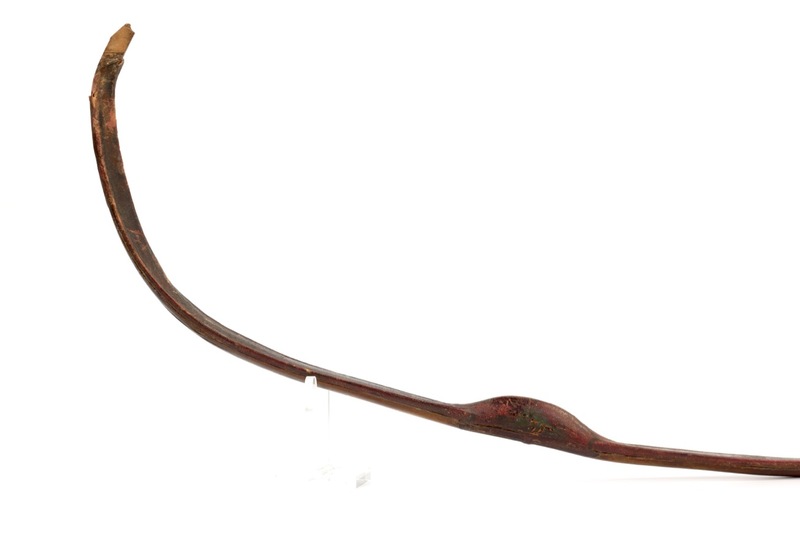 A very rare and early Ottoman bow, unfortunately in not so good condition, together with a siper and two arrows. 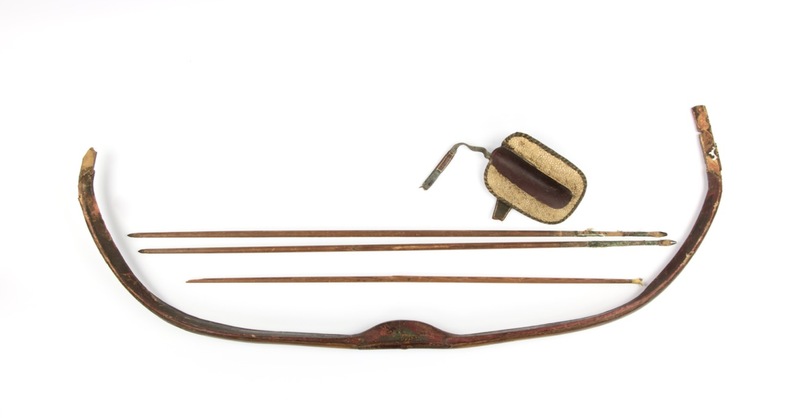 Ottoman archery equipment is very hard to find on the market, and despite the condition of the bow and arrows, the set presented will make a great group of study objects of the student of the great Ottoman archery tradition.